The slow motion infused twin-stick shooter Time Recoil is now available for PS Vita in North America and Europe for $13.99 / €13.99. Time Recoil is top-down shooter where the player is a member of a rebel organization fighting a mad scientist dictator, Mr. Time. The rebels use a time machine to travel back and forth in time in an attempt to stop Mr. Time before he finds and destroys the rebels. The player has a super power: Kill to slow time. Killing triggers a time slowdown effect, which is extended with additional kills. Slow motion kills also charge a special ability, which become more powerful as the game progresses and the more kills the player is able to chain. 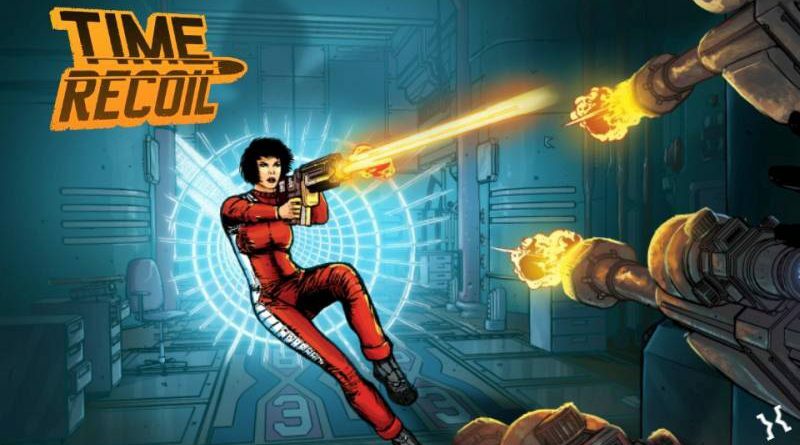 Time Recoil will likely be 10tons’ last PS Vita release. According to the developer, they are struggling to squeeze the power out of the hardware that is needed for their latest titles. Sales of their PS Vita ports don’t help neither as they have been in decline for quite some time.